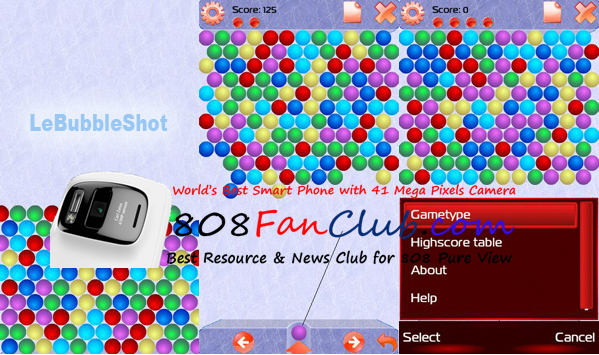 The objective of the game is to clear all the Bubbles from the board. The more Bubbles burst with a shot, the more points you will get. 2 Gametypes: 5 / 6 Color. Supports Symbian S60 5th / Symbian^3 – 360×640 devices. Have fun.